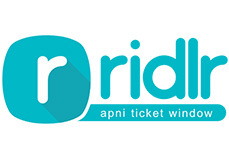 Avendus advises Ridlr on its strategic sale to Ola. Avendus’ wide range of clients is testimony to its ability to serve its corporate clients throughout their life cycle – from growth stage funding to complex, large sized transactions later in the cycle. Avendus Capital Inc. and Avendus Capital (UK) Pvt. Ltd. located in New York and London respectively are wholly owned subsidiaries offering M&A and Private Equity syndication services to clients in the respective regions.